I love putting together collections that go together yet don't go together. 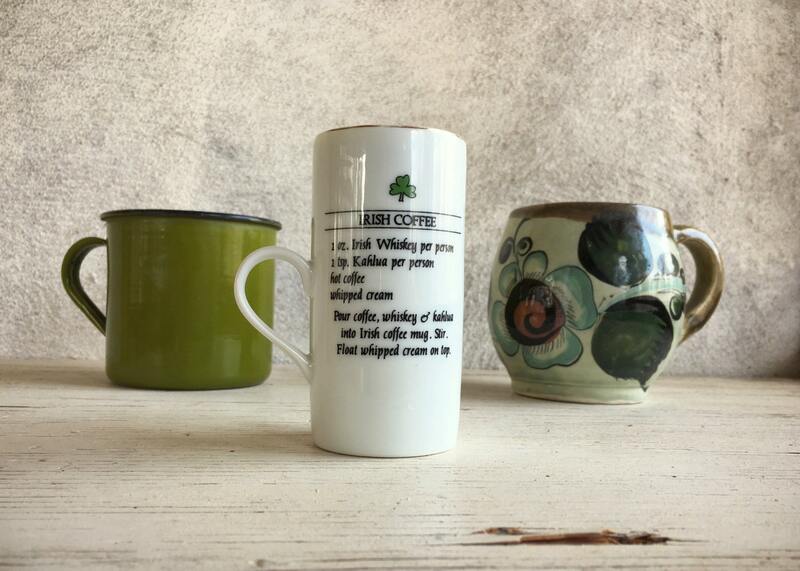 Case in point: this collection of green mugs in honor of St. Patrick's Day. 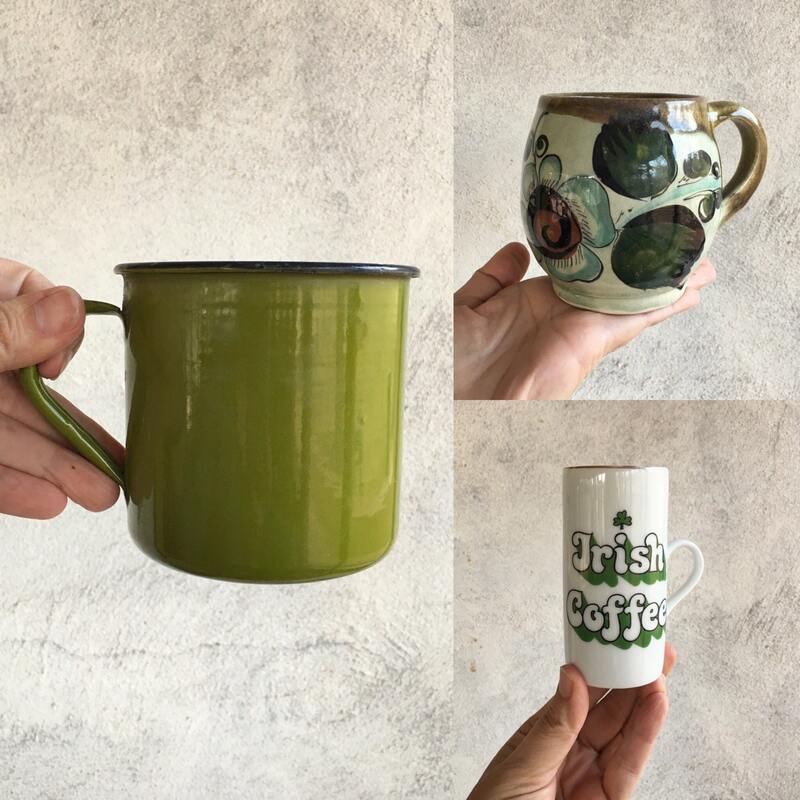 And not just any ol' mugs that happen to share the color green, but green mugs that belong together. One is for Irish Coffee and has the Irish Coffee recipe on the back. 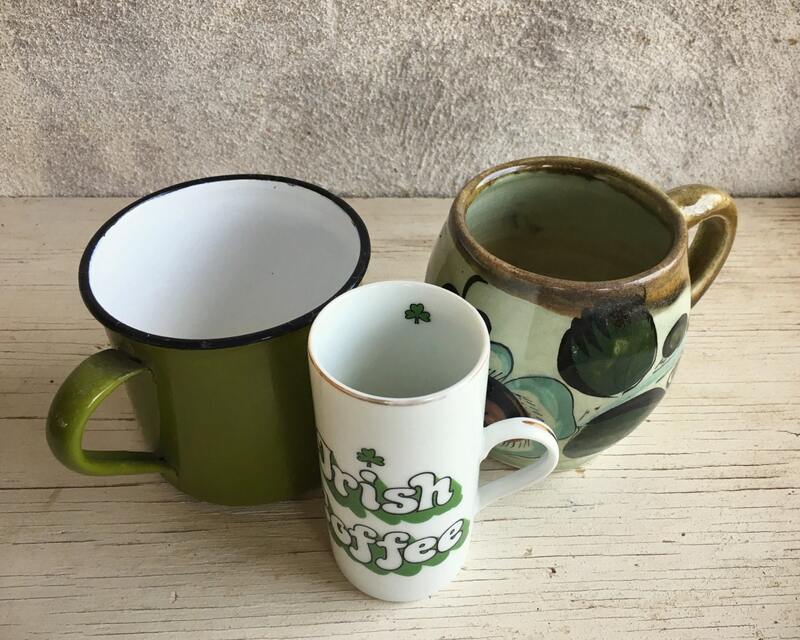 One is a green Talavera mug, paired with the Irish mug in honor of the Black Irish, those wonderful folk who have both Irish and Spanish heritage. And one a green enamel mug from Japan--the solid mug that if it were a pillow would act as the glue between the two clashing patterns. 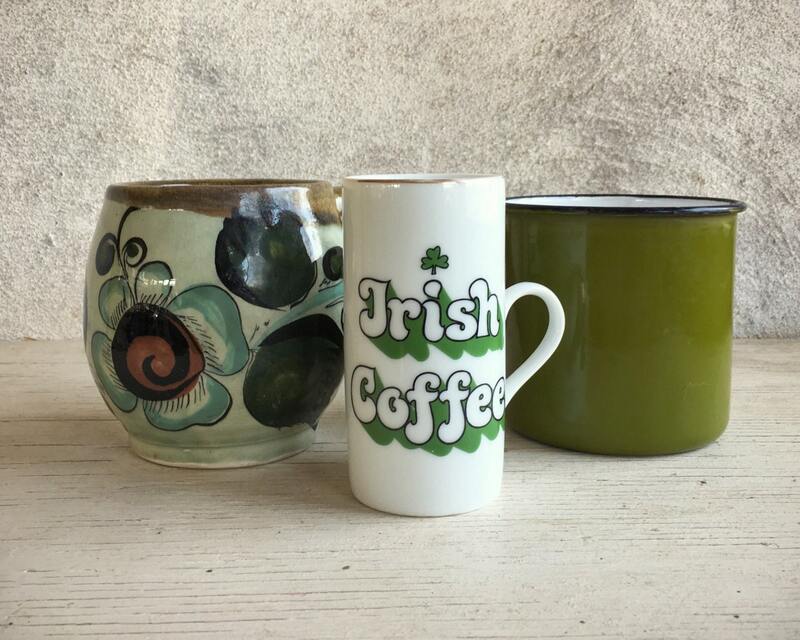 Irish Coffee mug is narrow and small and measures about 4-1/4" tall by just under 2" in diameter. Gold-paint lined rim has some fading, but otherwise in good condition. Green Talavera mug is about 4" tall by 3" in diameter and almost 6" across at the widest point. Crazing but otherwise in good condition. 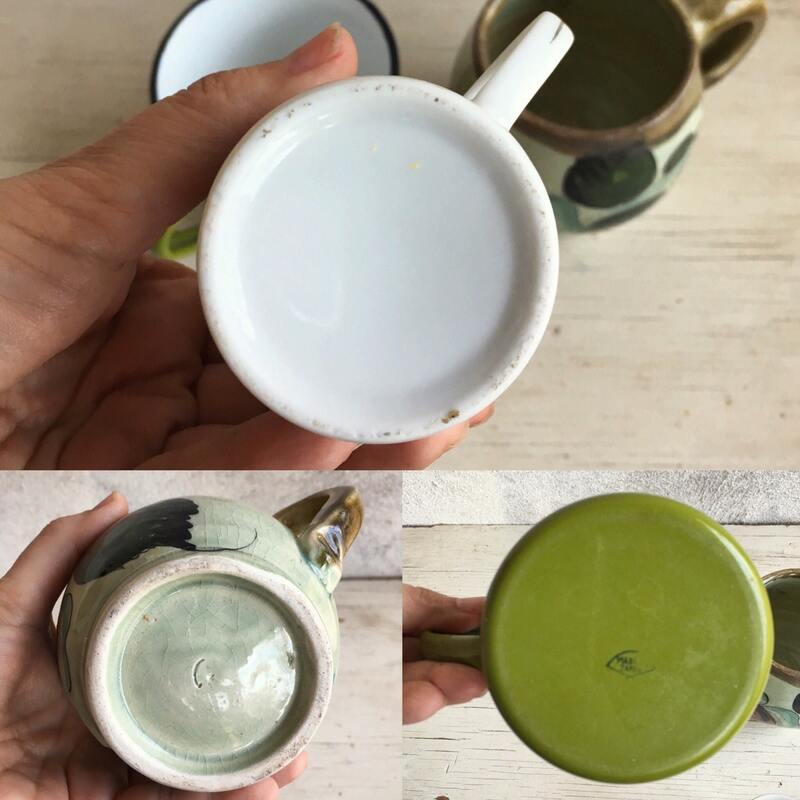 And the green enamel mus is about 3-3/4" tall and 3-3/4" in diameter and has some hard water spots on the bottom but also in good vintage condition.